" Machine works great. I was able to purchase the InfoSmart software from a company in Australia which has helped immensely. " " Just started to use the ICON and have been happy so far. I like that it's easy to use and looks good on the nightstand. " ICON Auto CPAP Machine with Built-In Heated Humidifier and ThermoSmart Heated Hose by Fisher and Paykel takes features from the SleepStyle line of CPAP machines and combined them to enhance patient comfort and provide a personalized treatment system. ThermoSmart Technology makes Fisher & Paykel a leader in humidification. NOTE: The Heated Hose is included in the price of this machine. ICON Auto CPAP Machine with Built-In Heated Humidifier and ThermoSmart Heated Hose is an improvement over Fisher & Paykels SleepStyle 200 Auto Series of machines. The ICON Auto incorporates both SensAwake pressure relief and and ThermoSmart humidification in a streamlined body. The built-in heated humidifier and heated hose delivers condensation-free humidification at the touch of a button. The ICON Auto is ideal for home or travel and comes with an alarm clock and music playing ability. The ICON Auto is designed to deliver on-demand pressure. As sleeping habits can vary daily, the ICON Auto uses a flow-based auto-adjusting algorithm to continually check for flow limitations, apneas, and hypopneas on a breath-by-breath basis. When an event occurs, the Auto algorithm begins to increase pressure until the obstruction clears or the maximum pressure setting is reached. Fisher and Paykel has a benchmark comparison of the ICON Auto and other auto-adjusting CPAP machines on the market. SensAwake is a pressure relief technology that addresses user intolerance for Continuous Positive Airway Pressure therapy. Comfort is critical during an awakened state, particularly for new users who have difficulty returning back to sleep when CPAP pressures are high. SensAwake monitors CPAP airflow and reduces pressure levels when respiration becomes irregular. Irregular breathing is a general marker that a user is transitioning from a sleep state to an awakened state. This personalized treatment prevents users from awakening and ultimately improves therapy effectiveness. Please note: SensAwake will only be available for the Icon Auto in CPAP mode for versions lower than 2.0. If your Icon Auto is a version 2.0 or higher the SensAwake will be available in APAP or CPAP mode. To determine which version you have, you will need to be in the Clinical Menu of the machine, select the "wrench" icon and move the dial one over to the right. The version of your Icon Auto will then appear. To maximize the ICON's capabilities, Fisher and Paykel offer an optional heated breathing tube that works in conjunction with ThermoSmart Technology. This heated CPAP hose contains copper coils embedded in tubing and is 76.5 inches in length. These coils conduct heat and can provide a constant temperature throughout the hose. 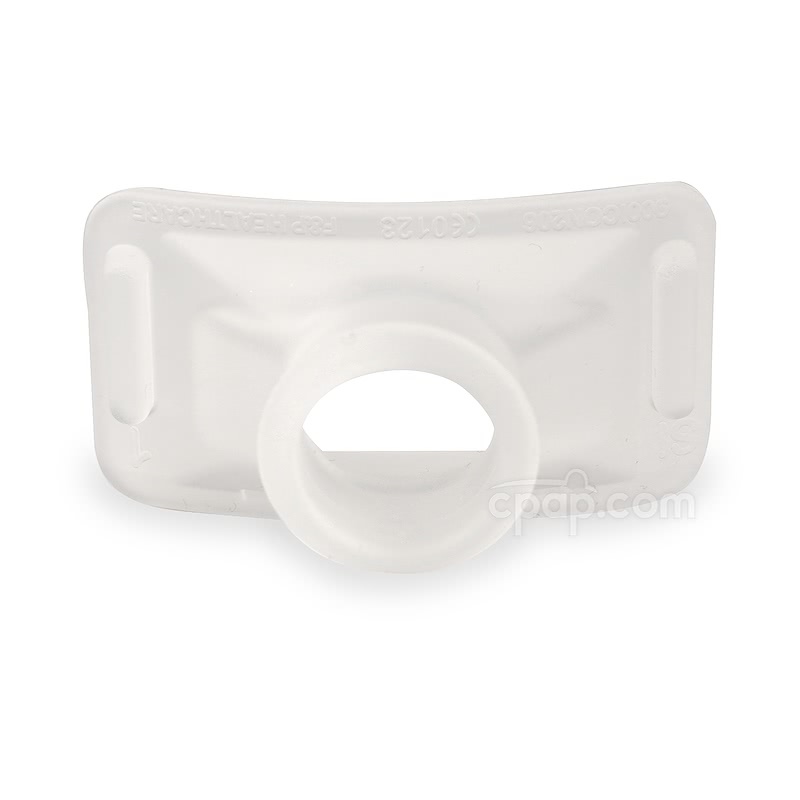 The optional ThermoSmart breathing tube virtually eliminates rain-out and condensation in a CPAP hose. The compact design and clock functionality makes the Fisher and Paykel ICON an ideal substitute for the bedside night stand. The ICON incorporates a single SmartDial that uses a "Press-Turn-Press" principle. Turn the dial to access efficacy data from the display or set the built-in alarm clock and music playing ability with the AlarmTunes function. A ramp is a feature that starts the air flow at a pressure lower than the prescribed pressure, giving the user time to fall asleep comfortably. The Icon Auto ramp can be activated for a 20 minute period by pushing in and holding the SmartDial button for 3 seconds when the machine is blowing air. The ramp pressure will start at 4 cmwp or 1/3 of the prescribed pressure, whichever one is greater. PLEASE NOTE: The length of the ramp and the starting pressure of the ramp cannot be changed. Ramp: With machine air flowing, press and hold for 3 seconds to turn on ramp. Humidity: Turn smart dial to select desired humidity and press again to select the level. Sleep Data: Press and hold for 7 seconds, turning the dial to move through compliance information. The ramp feature on the Icon Auto is a set length of time, 20 minutes. It cannot be adjusted by the user. The starting pressure of the Icon Auto is set by the machine based on the prescribed pressure. It will start at either 4 cmwp or at 1/3 of the prescribed pressure. The machine will use the larger of those two numbers. For instance, if a machine pressure is set to 9 cmwp the ramp would start at 4 cmwp since 1/3 of 9 is 3 and 4 cmwp is the minimum setting. As another example, if a the prescribed pressure of a machine is 18 cmwp would start at 1/3 of 18 or 6 cmwp because 6 is greater than 4. Using the ramp is an optional feature and not required. To start the ramp process once the machine is blowing air, press and hold the SmartDial for 3 seconds to start the ramp process. As of February 2014, the ThermoSmart Heated Hose is included with the Icon Auto CPAP Machine. Fisher & Paykel updated the Icon line of machines in 2013. The color of the machines changed from light gray to dark gray but the size and shape of the machine is unchanged. The default menu setting on the Icon machines is "Simple Mode". This is a simplified menu for easier use. When the machine is in this mode and turned on, all other menu options will be hidden and the only visible setting will be the heated humidifier humidity which can be adjusted by turning the dial. Hold down the middle button an turn the dial clockwise until a menu appears. The menu will look like dots around the right side of the display. Once that menu appears, the button and dial can be released. Without pressing the button, turn the dial to the 3 o'clock position. At this point the screen will read "MENU" and have a number "1" displayed in the middle. Press the button and release, which will make the number "1" blink. Turn the dial to adjust this from "1" to "2". Press and release the button again to save this change. Turn the dial back to the 12 o'clock position then press and release the button to exit this menu. Once changed, turning the dial will allow you to scroll through the menu options and view them easily. ThermoSmart Heated Hose Cleaning: Wash the heated hose using a mild soap and warm water. Rinse well with clean water and allow to air dry out of direct sunlight. The thermosmart hose may be submerged while cleaning, however it must be allowed to completely air dry before reconnecting to the CPAP machine. Icon Machine and Humidifier Cleaning: Disconnect the machine from the power outlet prior to cleaning. Remove the long tube from the machine. Wash the tube in warm soapy water. Rinse in clear running water and hang to dry. Remove the chamber lid and remove the chamber, discard any remaining water. DO NOT remove the rubber seal from the chamber. The chamber may be washed in a dishwasher or hand washed with mild detergent, rinsed and dried. Remove the chamber, elbow and outlet seal. Fill the chamber with a solution of one part white vinegar to two parts water and allow to soak for 10 minutes. Rinse the chamber well and dry, or wash the chamber in the dishwasher. Disconnect the elbow from the machine by grasping the elbow and pulling out from the machine. Remove the outlet seal by pushing it into the machine through the opening created once the elbow is removed. Wash the elbow and seal in mild detergent using warm water. Rinse well and dry. Reinstall the outlet seal, then snap the elbow onto the back of the machine. Replace the chamber and lid. The heating plate of the Icon Auto may feel warm after the machine has been turned off. This may be residual heat resulting from the humidifier being very well insulated. Adding to this warmth, the power supply for the machine is directly under the heating plate, and even while in standby mode it can generate enough power to cause warmth when touched. If the Smartstick for the ICON Auto will not lock into place, try removing the stick completely and reinserting which should allow the stick to re-lock into the machine. The SmartStick works in conjunction with software available only to doctors and sleep clinics. Please Note: If using the InfoSmart software, an error message may appear stating that personal info does not match. Please contact your physician for support to have your information added and updated in the software if this error occurs. The sleep session period for data reporting on the Fisher & Paykel Icon line of machines runs from noon one day to noon the next day. The time set on the machine determines "Noon". As an example, the sleep data related to a use session running from 11 PM at night to 7 AM the next morning will display after noon that day. Likewise, if the machine were used during an afternoon nap from 2:30 PM to 4:00 PM today, the data would display after noon the next day. The Breeze masks feature a connection that can sometimes easily slip out of the end of a hard cuffed hose, such as the ThermoSmart Heated Hose which is included with the ICON machines. To make this connection snug and prevent the mask connection slipping out, the addition of the FlexiTube Angle Adapter is necessary. Please add this item to your cart when ordering if you are purchasing or currently use a Breeze mask and plan to use it with a hard cuffed hose such as the ThermoSmart Heated Hose. 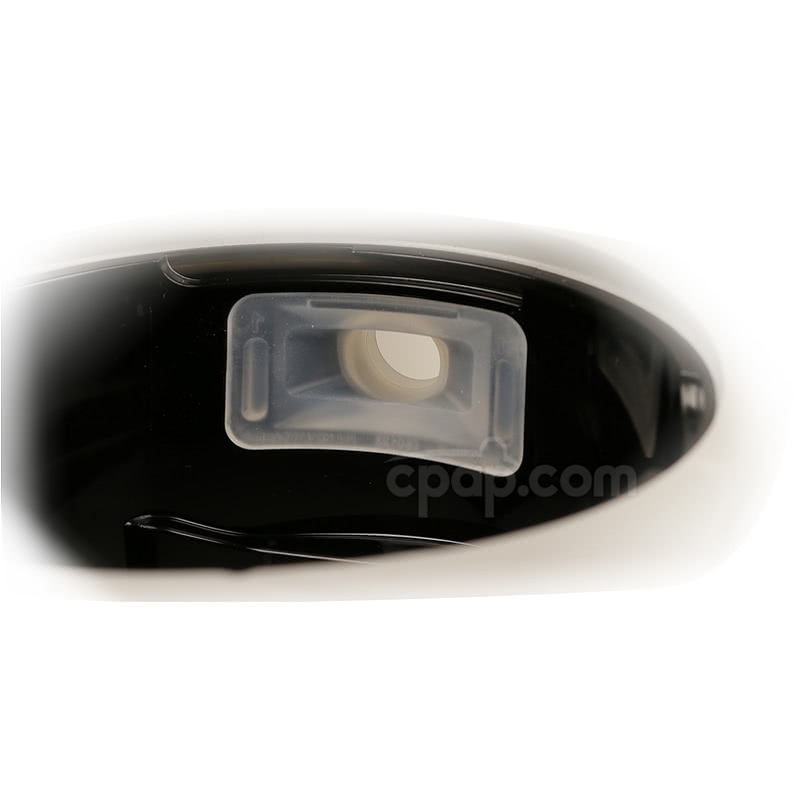 The ICON Auto CPAP machine operates automatically between 110v and 240v AC. When traveling either inside or outside the USA, there are no switches to switch or fuses to change. The machine will automatically sense what voltage is needed and set itself to run on that power. Weighing in at only 1.7 pounds the Freedom Battery is a terrific option for travel. The 150W Sine Wave Inverter must be purchased separately with the Freedom Battery, otherwise it will not be able to power your machine. This lithium ion battery meets UN Manual Test and Criteria requirements for travel. The Freedom Pack includes many accessories and a handy carry case designed to allow the the cords to be attached with the battery inside the case. Learn More About CPAP Machines! To learn more about CPAP machines, please visit our CPAP Machines FAQ.